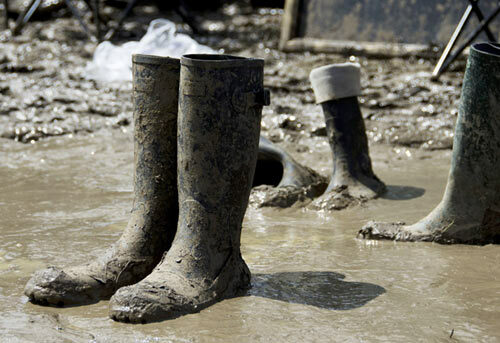 The British Summer is well underway and that means festival season has well and truly begun here in the UK. British music festivals have grown hugely in popularity in recent years with new festivals popping up all the time. 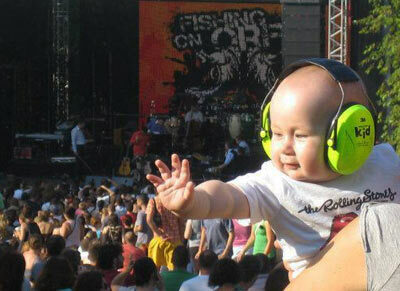 There are a whole host of family-friendly festivals in the UK allowing the little ones to join in the fun too. The question is - would you take your child along? The top three most attended festivals from our survey were (1st place) Lollibop - the largest UK kids-orientated festival; (2nd place) Glastonbury and (3rd place) Camp Bestival. This was taken from an impressive list of 33 different UK festivals attended by our parents and their offspring. 82% Parents Had A Great Time With The Kids In Tow! When we asked if the adults had enjoyed themselves, an overwhelming majority (82%) reported that they had an amazing time; although 15% of those admitted they might enjoy a festival experience more without the kids! The mini-revellers also seemed to enjoy their first festival experiences (according to their parents) with 85% loving it, 12% thought it was OK and only 3% were not happy campers. Number 1 Must-Have Festival Essential Voted by Parents - Wet Wipes! We decided to tap into the invaluable knowledge and experience of these intrepid parents and asked their opinion on what essential items you should take to a family festival. The number one ‘must-have’ festival essential voted for by a third of parents was wet wipes! Other notable must-haves included food/snacks (15%) and loo roll (11%). The remaining essentials which all got a mention and in our opinion are a good idea included water bottles; ear defenders (for young children); sun cream, hand sanitizing gel; chair/stool; sun hat and wellies. 3) Dress children in bright/eye-catching clothes so you can easily spot them. The majority of our families undoubtedly enjoyed their festival experiences with common highlights including ‘dancing with our kids’, ‘making amazing memories’ ‘BBQs with other families we met at the festival’ etc. Sounds idyllic yes - but there will always be a few negatives with so many people in a confined space. Worst moments commonly reported were ‘long queues for showers and toilets’ ‘Mud/rain’ and ‘lack of sleep due to noise levels’. Hey it’s a music festival what did they expect! We asked the parents who have never taken a child to a festival – the reason why. The top two reasons were lack of decent toilet/washing facilities and safety concerns. These were followed closely by difficulty in relaxing properly; high cost; lack of sleep; and unpredictable UK weather. Interestingly despite these concerns a third of the family-festival-virgins said they were planning to take their kids to a festival in the future. When asked what would ‘seal the deal’ for them, the most popular answer (21%) was a lower ticket price or even free entry for kids. With some festivals running into the hundreds of pounds for a family ticket we can see why. The two other most desirable qualities were a ‘family-only’ event and ‘better family facilities’. 4% of parents said ‘guaranteed good weather’ would persuade them to attend – sorry nobody can help you with that one!